Gears of War 4 multiplayer lead Ryan Cleven guides us through what’s new in Horde. Perhaps one of the most enduring aspects of the Gears of War series was initially something of an afterthought – the much-loved Horde mode. When the second game in the series launched it was considered something of a bonus, but the mode quickly took on a life of its own to become one of the most popular aspects of the series. Indeed, by the time Gears of War 3 rolled around I was more interested in spending time with friends in Horde than I was in seeing through its campaign. It was no surprise when Gears developers The Coalition announced Horde 3.0 at E3 2016. Gears of War 4 would at this point feel a little naked without it – something that Multiplayer Lead Ryan Cleven reiterated when we had a chat with him all about the new Horde mode, which will be shown off to the public for the first time at PAX West. “Horde was something we knew we wanted to bring back,” Cleven explained. “We’d heard from the fans that it was something that people wanted to see return to the franchise and it was also something very important to us. Cleven’s duties have been split between both the regular multiplayer and the co-operative Horde mode, but he explains that neither one took absolute precedent over the other. 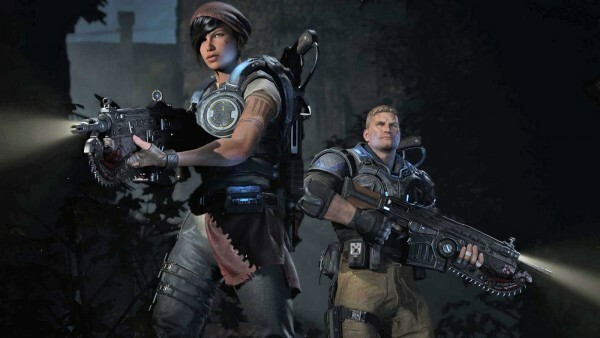 The modes were developed “in tandem,” he says, though he also says that Gears 4’s Horde mode was an iterative development. “Every time a new creature would get added, we’d have to work to make sure that Horde still played well with that feature,” he reveals. We ask Cleven to take us back to the top of Horde 3.0’s development thread, and he’s quick to note that the largest challenge was what to do about one of Gears 3’s larger additions: player-built fortifications. These added a lot of gameplay but also, he says, compromised some of the emergent nature of the original version of Horde. “In Gears 3 we saw the introduction of fortifications to horde, but one of the things that we felt happened when we took that direction was that it meant that the level designers were prescribing where the best defence was and kind of how to play the level,” he said. “So, we went back to what people were saying about the overall Horde experience and one of the things that we thought was really interesting was the emergent qualities that were there in the original Horde that was inside Gears 2. The solution the team at The Coalition landed on was eventually to give players more control over fortification. Instead of upgrading set points on the map in a sort of tower defence style, players now have one catch-all fortification called the Fabricator. Think of this as being like your base in a Real Time Strategy game – it is the place from which other fortifications are born. Players can pick it up and drop it anywhere on the map, and the same is true of the fortifications it builds. It’s now all down to the players. “You and your other team mates are going to decide where in the level you think is best to set up,” says Cleven. “We’re not going to tell you where we think it is, ‘cos that’s up to each individual team. Maybe players are going to find places that we haven’t even anticipated. “The fabricator is like a military grade 3D printer. Players can build all the new fortifications they want out of that one unifying piece. They can build barriers like before, they can build turrets, they can build sentries, decoys, and a couple of new fortifications as well. “But now once they’re built you can pick them up and move them at any time – in combat, out of combat, you can move it as many times as you want. This means that you can set up any kind of layering, or choke points or any other dynamic that they think is going to be the best defence. It also means that team mates have to collaborate on where to place these and try to figure out how to work it all as a team. Also new to Horde 3.0 is a class system. Players will choose between five different classes – Soldier, Sniper, Scout, Heavy and Engineer, and the game has been designed to support diverse team layouts for experienced players. Classes can also be developed in different directions within the course of a match, something which Cleven feels adds a lot of diversity to the mode. “All the classes have about eleven skill cards. At the beginning you can choose one of them, and at the end of your character’s progression you’ll have picked any five. That means every time that you start up Horde you can pick five of these eleven cards, and you’re going to have to think about the best build for that session. The cards are something Microsoft has tried in a few games such as Forza and Halo. In Gears, card packs can be earned by just playing the games, but players wanting a boost can also buy them with real money. The cards that determine things like class skills are permanent and never go away, but other cards that offer bonuses will be consumable in nature. When asked about what this means for balance, Cleven is pragmatic. 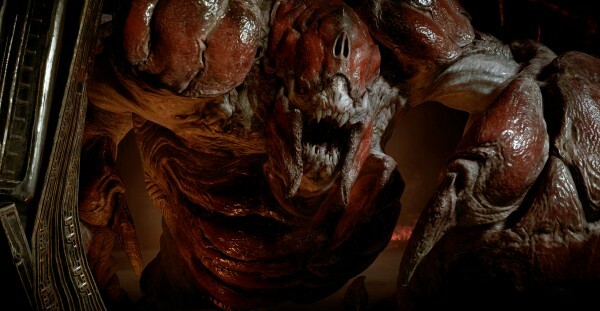 The final big new addition for Horde 3.0 comes in the form of its enemies – because as touched on in one of the earlier quotes, Gears of War 4 features an all-new set of enemies that’s quite distinct from the Locust. This obviously has a big impact on single-player encounters, but the two new races of enemy and the iterations thereof come packing abilities that the Coalition hope will challenge even the most seasoned Gears players to think about Horde in a different way. 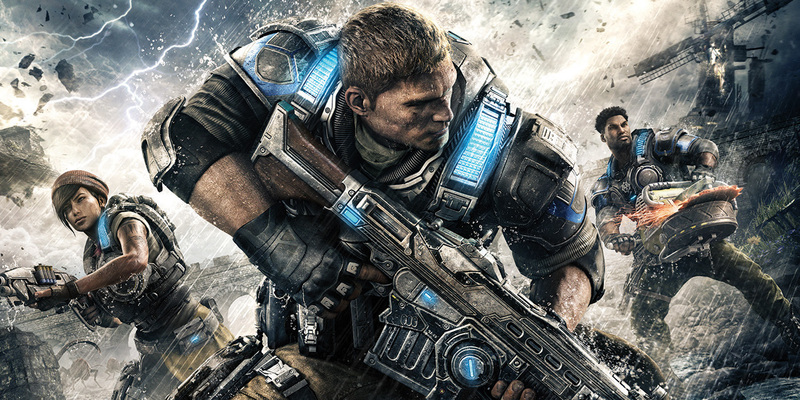 “There’s still the core of cover based shooting, so you’ve got the drones that have assault rifle type weapons and you’re still going to shoot them from cover and have that sort of exchange, and that’s sort of the fundamentals of Gears, but Gears of War 4 has some really cool, unique units that offer a different kind of play,” Cleven says. “The new Pouncer is sort of a hybrid unit that we’ve developed – it’s had a unique impact on Horde. What it can do is shoot you from afar, but if you’re taking cover it can jump towards you and if it knocks you down it’ll knock you down and pin you. We’ve never had that sort of jumping, leaping enemy that can get through defences. “The Juvies run really quickly and can jump off and over walls, which means it isn’t just about setting up the barriers and killing everything at the barriers – you’re going to have to be prepared to use a little bit of verticality. That leads into the new flying units we’ve got – those are very different units to what we’ve seen before in Gears of War. These are big, heavy flying units. “You’re going to have to manage the ground, you’re going to have to manage the air, and you’re going to be fighting both DeeBees and the Swarm at the same time. Each army has a slightly different character to it too… the DeeBees tend to be a little more marching and put a lot of constant pressure on you, while the Swarm have a lot more big units. Gears of War 4 will be released on October 11, 2016 for Windows 10 PC and Xbox One.